Imagine this. It’s 2030. Your company is successful. Wall Street Journal is doing a story on your company. What is the article going to be about? This is actually an exercise used in a workshop by cofounder of Sir Kensington’s to help participants uncover their purpose. 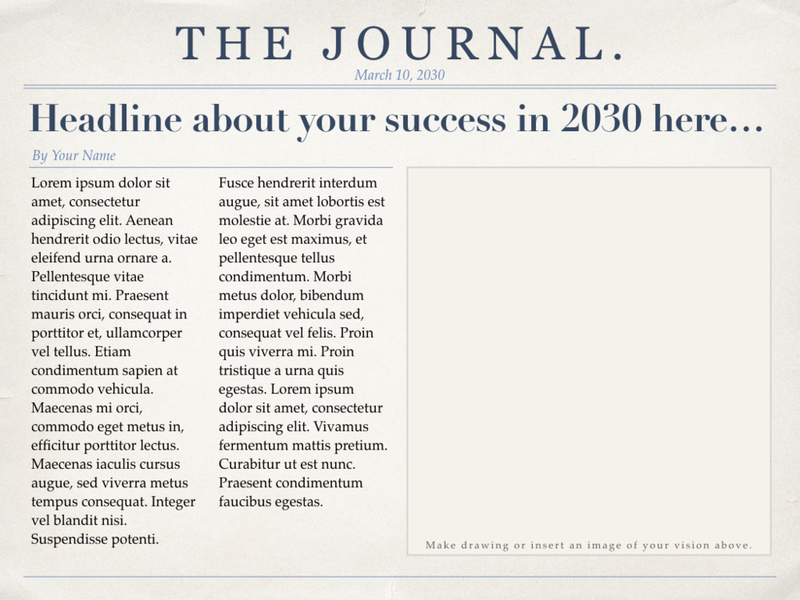 This Wall Street Journal exercise helps us imagine what success looks like in the future. It’s a fun and creative exercise that I often do in my workshops as well. I’d like to share with you the worksheet/template I use in the workshop.